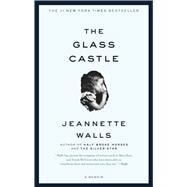 Jeannette Walls grew up with parents whose ideals and stubborn nonconformity were both their curse and their salvation. Rex and Rose Mary Walls had four children. In the beginning, they lived like nomads, moving among Southwest desert towns, camping in the mountains. Rex was a charismatic, brilliant man who, when sober, captured his children's imagination, teaching them physics, geology, and above all, how to embrace life fearlessly. Rose Mary, who painted and wrote and couldn't stand the responsibility of providing for her family, called herself an "excitement addict." Cooking a meal that would be consumed in fifteen minutes had no appeal when she could make a painting that might last forever. Later, when the money ran out, or the romance of the wandering life faded, the Walls retreated to the dismal West Virginia mining town -- and the family -- Rex Walls had done everything he could to escape. He drank. He stole the grocery money and disappeared for days. As the dysfunction of the family escalated, Jeannette and her brother and sisters had to fend for themselves, supporting one another as they weathered their parents' betrayals and, finally, found the resources and will to leave home. What is so astonishing about Jeannette Walls is not just that she had the guts and tenacity and intelligence to get out, but that she describes her parents with such deep affection and generosity. Hers is a story of triumph against all odds, but also a tender, moving tale of unconditional love in a family that despite its profound flaws gave her the fiery determination to carve out a successful life on her own terms. For two decades, Jeannette Walls hid her roots. Now she tells her own story. A regular contributor to MSNBC.com, she lives in New York and Long Island and is married to the writer John Taylor. I was sitting in a taxi, wondering if I had overdressed for the evening, when I looked out the window and saw Mom rooting through a Dumpster. It was just after dark. A blustery March wind whipped the steam coming out of the manholes, and people hurried along the sidewalks with their collars turned up. I was stuck in traffic two blocks from the party where I was heading. Mom stood fifteen feet away. She had tied rags around her shoulders to keep out the spring chill and was picking through the trash while her dog, a black-and-white terrier mix, played at her feet. Mom's gestures were all familiar -- the way she tilted her head and thrust out her lower lip when studying items of potential value that she'd hoisted out of the Dumpster, the way her eyes widened with childish glee when she found something she liked. Her long hair was streaked with gray, tangled and matted, and her eyes had sunk deep into their sockets, but still she reminded me of the mom she'd been when I was a kid, swan-diving off cliffs and painting in the desert and reading Shakespeare aloud. Her cheekbones were still high and strong, but the skin was parched and ruddy from all those winters and summers exposed to the elements. To the people walking by, she probably looked like any of the thousands of homeless people in New York City. It had been months since I laid eyes on Mom, and when she looked up, I was overcome with panic that she'd see me and call out my name, and that someone on the way to the same party would spot us together and Mom would introduce herself and my secret would be out. I slid down in the seat and asked the driver to turn around and take me home to Park Avenue. The taxi pulled up in front of my building, the doorman held the door for me, and the elevator man took me up to my floor. My husband was working late, as he did most nights, and the apartment was silent except for the click of my heels on the polished wood floor. I was still rattled from seeing Mom, the unexpectedness of coming across her, the sight of her rooting happily through the Dumpster. I put some Vivaldi on, hoping the music would settle me down. I looked around the room. There were the turn-of-the-century bronze-and-silver vases and the old books with worn leather spines that I'd collected at flea markets. There were the Georgian maps I'd had framed, the Persian rugs, and the overstuffed leather armchair I liked to sink into at the end of the day. I'd tried to make a home for myself here, tried to turn the apartment into the sort of place where the person I wanted to be would live. But I could never enjoy the room without worrying about Mom and Dad huddled on a sidewalk grate somewhere. I fretted about them, but I was embarrassed by them, too, and ashamed of myself for wearing pearls and living on Park Avenue while my parents were busy keeping warm and finding something to eat. What could I do? I'd tried to help them countless times, but Dad would insist they didn't need anything, and Mom would ask for something silly, like a perfume atomizer or a membership in a health club. They said that they were living the way they wanted to. After ducking down in the taxi so Mom wouldn't see me, I hated myself -- hated my antiques, my clothes, and my apartment. I had to do something, so I called a friend of Mom's and left a message. It was our system of staying in touch. It always took Mom a few days to get back to me, but when I heard from her, she sounded, as always, cheerful and casual, as though we'd had lunch the day before. I told her I wanted to see her and suggested she drop by the apartment, but she wanted to go to a restaurant. She loved eating out, so we agreed to meet for lunch at her favorite Chinese restaurant. Mom was sitting at a booth, studying the menu, when I arrived. She'd made an effort to fix herself up. She wore a bulky gray sweater with only a few light stains, and black leather men's shoes. She'd washed her face, but her neck and temples were still dark with grime. She waved enthusiastically when she saw me. "It's my baby girl!" she called out. I kissed her cheek. Mom had dumped all the plastic packets of soy sauce and duck sauce and hot-and-spicy mustard from the table into her purse. Now she emptied a wooden bowl of dried noodles into it as well. "A little snack for later on," she explained. We ordered. Mom chose the Seafood Delight. "You know how I love my seafood," she said. She started talking about Picasso. She'd seen a retrospective of his work and decided he was hugely overrated. All the cubist stuff was gimmicky, as far as she was concerned. He hadn't really done anything worthwhile after his Rose Period. "I'm worried about you," I said. "Tell me what I can do to help." Her smile faded. "What makes you think I need your help?" "I'm not rich," I said. "But I have some money. Tell me what it is you need." She thought for a moment. "I could use an electrolysis treatment." "I am serious. If a woman looks good, she feels good." "Come on, Mom." I felt my shoulders tightening up, the way they invariably did during these conversations. "I'm talking about something that could help you change your life, make it better." "You want to help me change my life?" Mom asked. "I'm fine. You're the one who needs help. Your values are all confused." "Mom, I saw you picking through trash in the East Village a few days ago." "Well, people in this country are too wasteful. It's my way of recycling." She took a bite of her Seafood Delight. "Why didn't you say hello?" "I was too ashamed, Mom. I hid." Mom pointed her chopsticks at me. "You see?" she said. "Right there. That's exactly what I'm saying. You're way too easily embarrassed. Your father and I are who we are. Accept it." "And what am I supposed to tell people about my parents?" "Just tell the truth," Mom said. "That's simple enough."